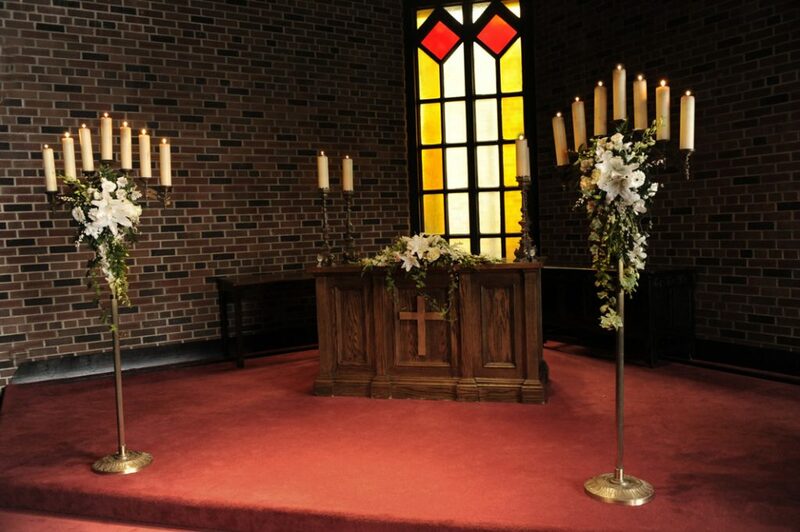 Includes one long, low flower arrangement draped across the altar, two candelabra flower arrangements and 8 satin pew bows. 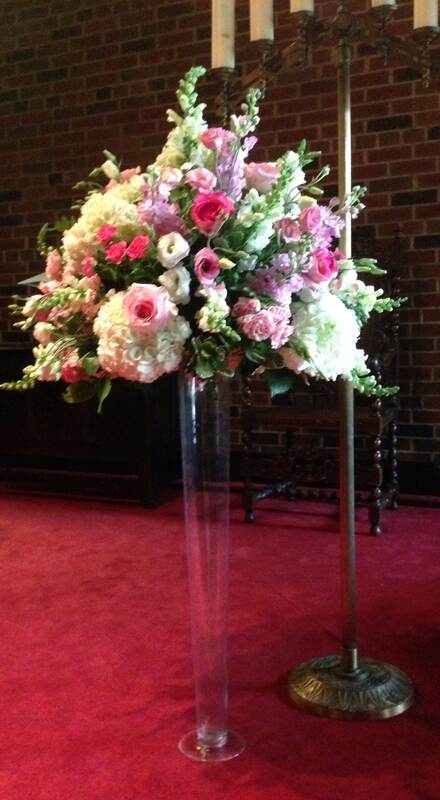 Includes one long, low flower arrangement draped across the altar, two pedestal flower arrangements and 8 satin pew bows. 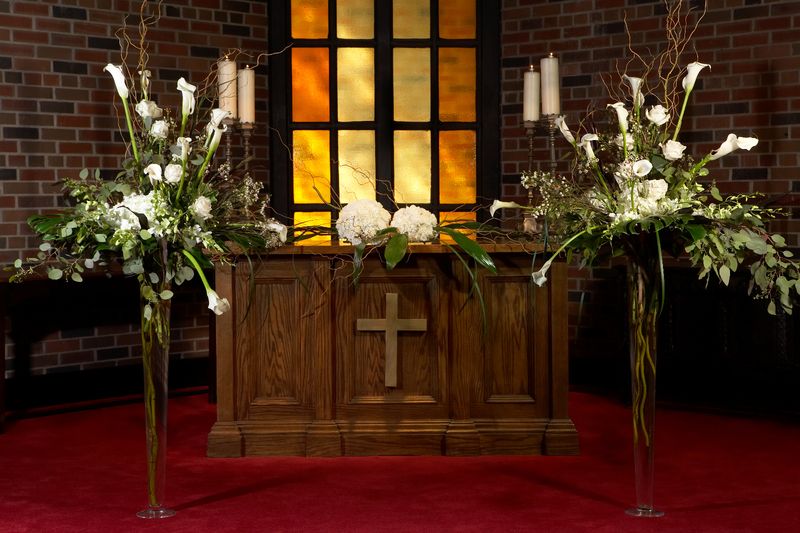 Includes one flower ball arrangement with leaves and branches for the altar, two tall glass vases with branches and flower arrangements and 8 chiffon pew bows. 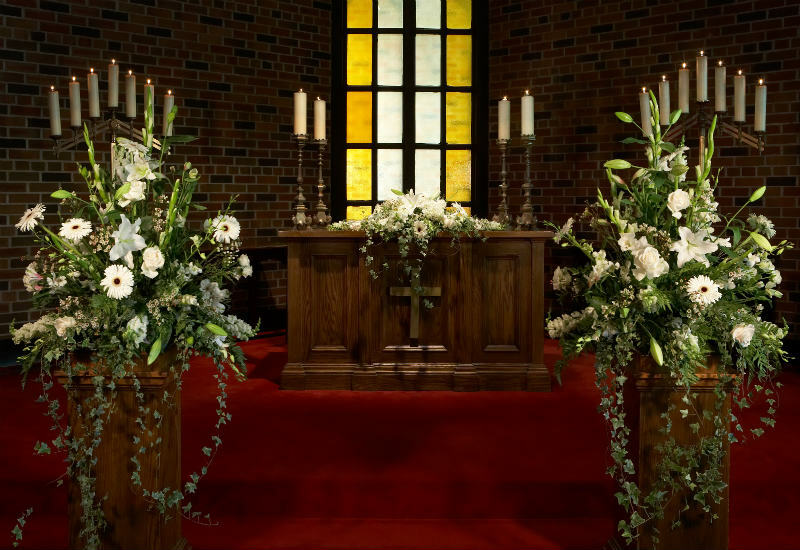 Includes one long, low flower arrangement draped across the altar, two modern vases displaying large flower bouquets and 8 chiffons per bows. 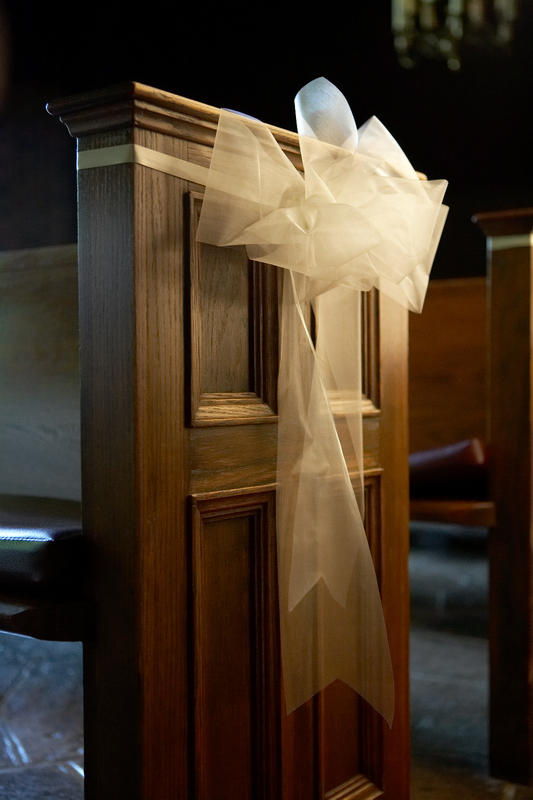 Includes a backdrop of double chiffon with bows. Head table and cake table is draped with loops of chiffon and bows. 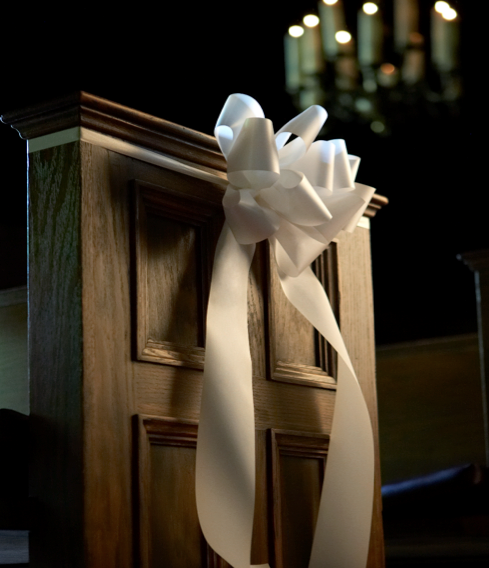 Includes a backdrop of double chiffon with bows. 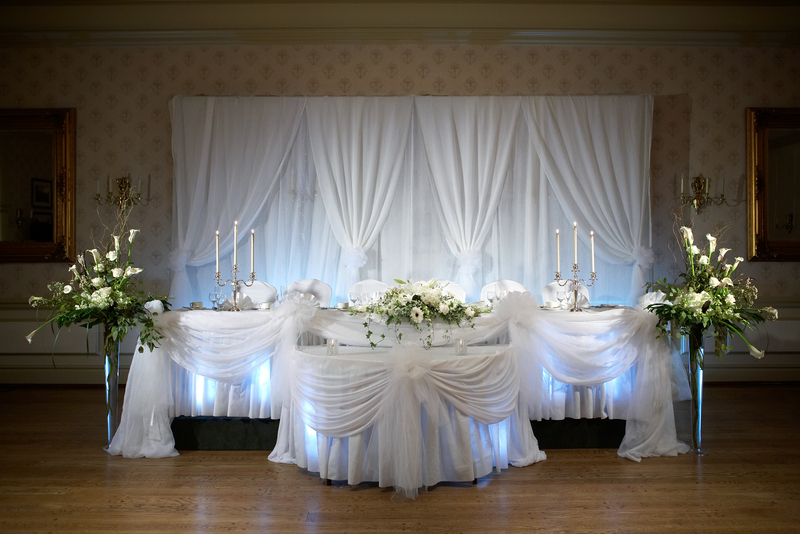 Head table and cake table is draped with loops of chiffon and bows and 6 spotlights. 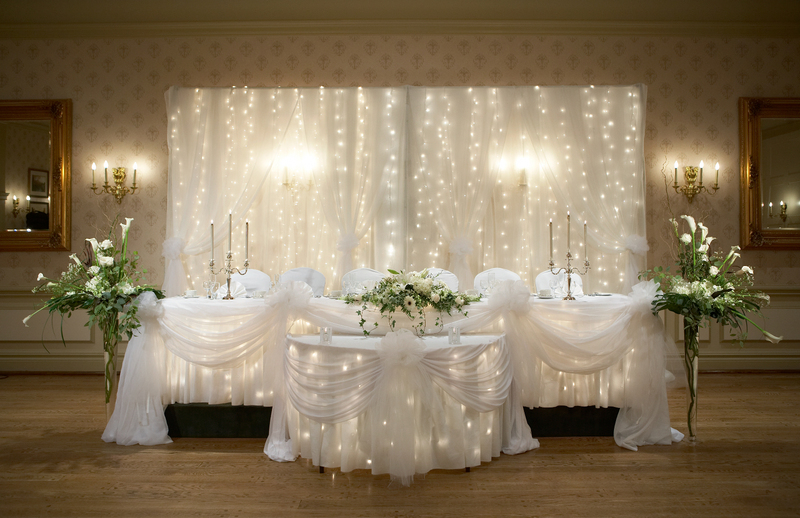 Includes a backdrop of double chiffon with bows and twinkle lights. 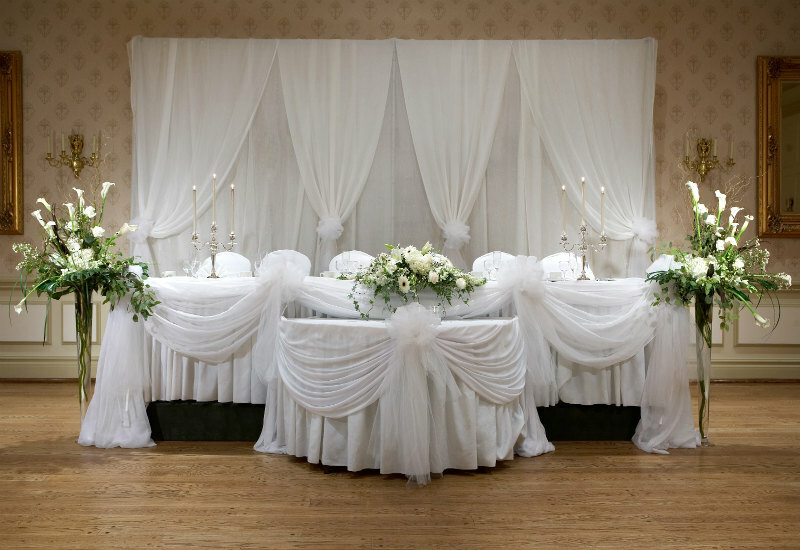 Head table and cake table is draped with loops of chiffon and bows and twinkle lights.